If your car shifts into gear too quickly, it will cause a jerk as your car suddenly accelerates or decelerates before it is ready. It can feel like riding in a manual transmission vehicle with a new teenage driver. 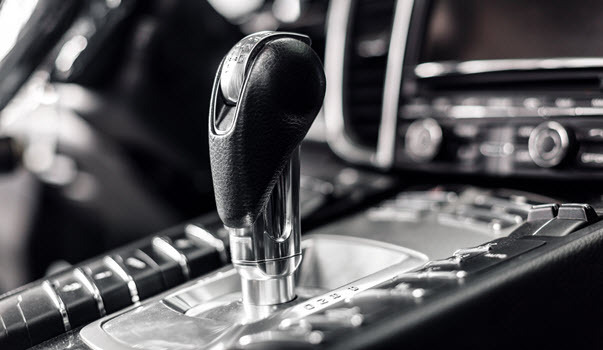 Automatic transmissions are built to prevent that from happening since it is not good for your safety on the road or your car’s overall functionality. Without the proper amount of transmission fluid, the timing of gear shifting will be off, and the jerking sensation will only worsen over time. The transmission filter rests in front of the transmission fluid pump and, as its name suggests, filters out any stray particles in the fluid. It performs a very similar function to your oil filter in your car. The main difference is that oil is used to lubricate the moving parts, while transmission fluid acts more like hydraulic fluid, creating force through hydraulic pressure to shift gears in your Jaguar’s transmission. If foreign particles get into the transmission fluid, the pressure would be off, and eventually, the points of friction would cause damage to the transmission system. When the filter gets clogged, it also cuts off the pressure in erratic ways, causing erratic gear shifting and the consequential jerking motion. Jaguars are designed to run smoothly, and any time they are functioning erratically there is potential for the damage to spread to adjacent parts and functions of the motor. This is a bigger problem than just low fluid levels or clogged filters. Your shift solenoids are the things which translate your car’s computer instructions about shifting gears and convert them into directed hydraulic pressure. Solenoids fit together in packs in your car. Depending on your car a single solenoid can run between $15 and $100, and a pack can be as much as $300. The more significant problem with solenoids is that it takes 2-4 hours to diagnose this issue and replace them so your labor costs can be up to $400. What Should You Do If Your Car Is Shifting Erratically? If you want to avoid costly repairs, the best thing you can do is get your car to a certified technician as soon as you notice shifting problems and ask them to start by checking your transmission fluid levels. If you are just low on fluids, this is an easy and inexpensive solution by comparison. It is a good idea to have them check your transmission fluid filter as well. Generally, it is a good idea to have your fluid and filter changed at the same time. If, after these changes, your car is still not shifting correctly, you are probably looking at a more expensive solenoid, or other transmission repair and should budget accordingly. The European Auto specialists at A&M Auto Service specialize in engine diagnostics for all European makes and models and have been the #1 repair experts for over 20 years in Pineville, Charlotte, and Greensboro, NC. Transmissions are one of the most important and most difficult parts of your car to service. A&M has factory-trained technicians that are committed to your safety on the road with your Porsche. We will accurately diagnose any transmission problems you have and will not waste your time and money looking for complicated issues without first offering simple solutions. We are so sure of our work that we provide a nationwide 2 year or 24,000-mile limited warranty at no additional cost to you. If problems persist, you can trust your transmission in our capable hands and our competitive labor prices. If you are having problems shifting smoothly with your Jaguar’s automatic transmission, do not waste any time. Contact Dutch and A&M Auto Service today. * Jaguar Emblem image credit goes to: Streager.